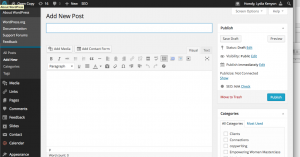 So you want to post a blog to your wordpress website? This blog post will show you how in just 5 easy steps. You need to access the backend of the website you are updating. The backend is also known as the CMS – Content Management System or in the case of WordPress ‘the Dashboard’. 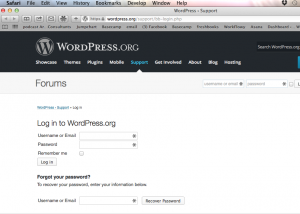 Go to wordpress.org and enter in your login details. Alternatively, you can type your website address into the url bar at the top of your internet browser, followed by ……./wp-admin/edit.php. You need a login username and password that identifies you as a sanctioned administrator for the website that you are posting to. 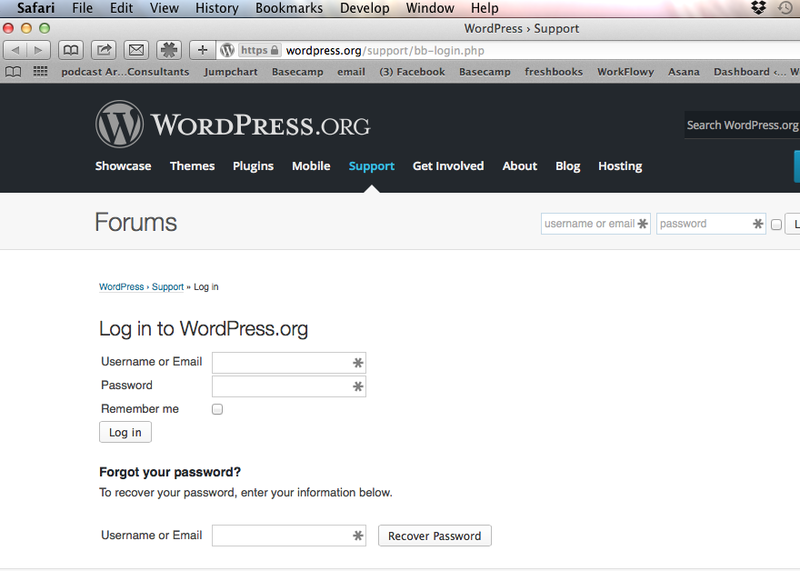 When you enter your login name and password you will find yourself on a Page entitled Dashboard. This is where you administrate all updates and changes to your website. On the left of the screen you will see a menu. 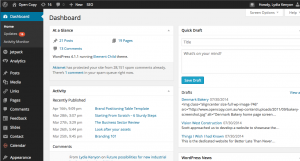 Now you are about to write your blog post. You will see the following text entry box. Before you start adding text of photos, go to the ‘Status’ option on the right hand of the screen. Click the blue ‘edit’ button and change the status from ‘Scheduled’ to ‘Draft’. This way, you blog will not be publicly visible until you have finished working on it, and reset the Status to the date you wish to have it published. *I have found that sometimes the status changes automatically from draft to publish when I click update but am not ready to publish. So as an extra precaution I always set the schedule date for the future and then change t back to the day’s date when I really am ready to publish. Add your title as prompted and write or copy and paste your written content. The functionality in this window is similar to Word or Pages. It should feel familiar. Enter the text, clear of formatting. You can do this by entering it into notepad or textedit. Then click Formatting in the menu above, and click from the drop down menu – Make Plain Text. It is best to do this and then add the formatting you want using the WordPress interface you have before you. To insert photos and images, click Add Media button – top left, just above the formatting options. You can insert images that you already have in your library, or insert new images from your hard drive. Click Upload Files to do this. The images should not be too large. If they are too large they may effect the time the website takes to load. Go to Adpater Image resizing blog, to find out how to resize images for your website. You can insert jpegs or pngs. Chose from your hard drive. Select the file you want and click Choose. This will take you back to the Media Library. Select the image you want to insert into your post. 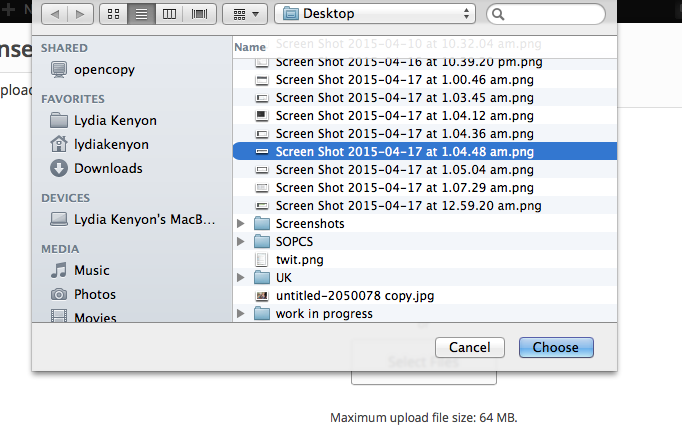 On the right side of the screen, options will appear to edit the image size, alignment etc. There will also be a box entitled Alt Text, this is important to fill in if you want to be Google -friendly. Just put a short description of the content of the photo in the text box. When you are ready, click Insert to Post. That’s the blue button at bottom of the window. When you have your text and images in place, click Update. Next click Preview to see how it is going to look. 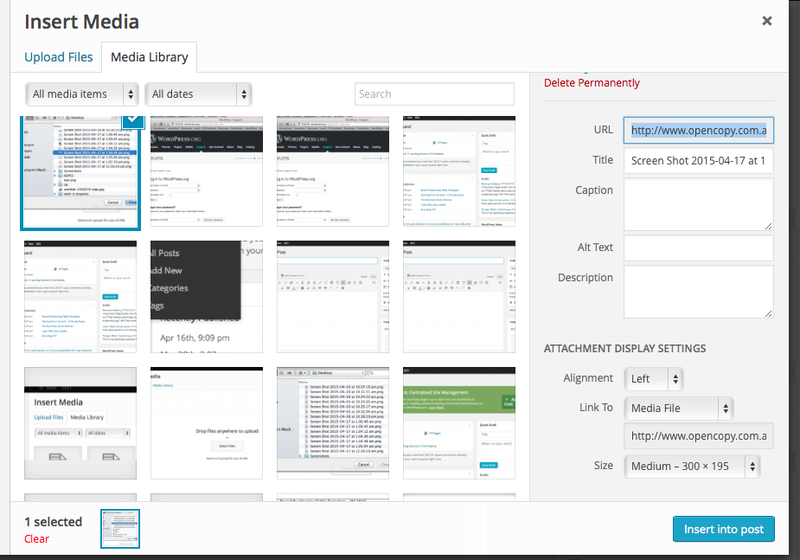 Navigate back to the dashboard to continue editing or to add more content. 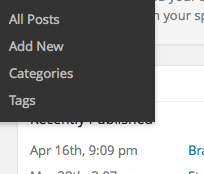 When you are happy with your post, change your post’s status to ‘Scheduled’ in the right side window. 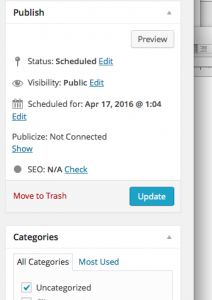 A few items down below the Status option, you will see an option to set the date the post is scheduled to be published on. Select your preferred date. If it is today date, then the Update button will change to a Publish button. Your blog post has been published.